One of the major issues is that several of the stops—including the Dyckman Street 1 station, the 50th Street C and E station, and the 49th Street N, Q, R, and W station—only provide accessibility options to trains running in one direction. “Ruling out stations that provide accessibility in only one direction, as well as stations that do not provide accessible transfers between other lines, would reveal a true percentage of accessible stations that is substantially lower than 24 percent,” the report reads. 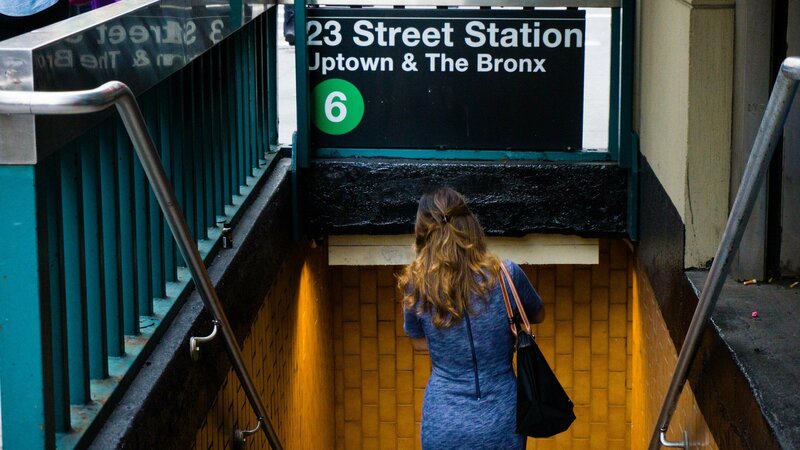 They also found that over 37 percent of the stations require new signage and over 16 percent of the stations were missing stair nosings, the bright paint on the tops and bottoms of stairs that aids visually-impaired straphangers. Common issues included missing or unclear signage, a need for more clarity between signage directing riders to elevators or accessible boarding areas, and a lack of detail or entirely misleading signage within elevators. Eighty-one percent of elevators were missing alternative travel information, pointing to a lack of agency oversight. About 54 percent of the elevators surveyed were considered visually unclean and 53.5 percent had odor problems. Urine, vomit, strewn litter, and gum were the unsurprising culprits. But elevators have more than cleanliness issues. On average they found that 5.2 percent of elevators were inoperable, with a total of 28 elevators being unavailable. On the worst performing day, 10 elevators were out of service. Disability advocates have been demanding increased accessibility since the death of 22-year-old Malaysia Goodson last week, who died after falling down the stairs of the Seventh Avenue B, D, E station while carrying her baby in a stroller. The station does not have a working elevator. “The subway system is not accessible for everyone, and that’s an environment the M.T.A. should not allow,” Mayor Bill de Blasio said on Twitter in response to the tragedy. The city’s medical examiner is looking into the circumstances of Goodson’s death and autopsy results point to a medical episode as the initial cause of her fall. Last week, TransitCenter put together a map to propose the next 50 subway stations that should be made accessible under the MTA’s Fast Forward plan, the 10-year plan laid out last May to modernize the subway system through a state-of-the-art signal system, a new fare payment system, thousands of new subway cars and buses, and better accessibility. The plan is expected to cost between $40 and $60 million but there is currently no funding in place. New York City is currently ranked the least accessible of the country’s 10 largest metro systems, falling far behind Los Angeles and Washington D.C. which are fully accessible, and Boston and Chicago which are more than 67 percent accessible with concrete plans in place to reach 100 percent.